If you have arthritis pain and put off exercise because of lack of time and motivation, this new research finding is just for you. Walking for weight loss: Walking is a very effective exercise for weight loss. Walking for about 10 to 15 minutes after eating meals can help regulate blood sugar, lower stress levels, better metabolism and promote weight loss, aid digestion and help you get better sleep according to a study published in the New England Journal of Medicine. Walking for a long life: A study by the University of Cambridge revealed that brisk walking for 20 minutes every day can make you live longer because it helps reduce high blood pressure, high cholesterol and the risk of diabetes. Walking for better memory: This might sound too good to be true. But walking can help better memory. Walking has shown some positive effects on memory performance and brain activity in older adults. This can help them develop their cognitive skills and keep neurological disorders like Alzheimer’s Disease and dementia away. 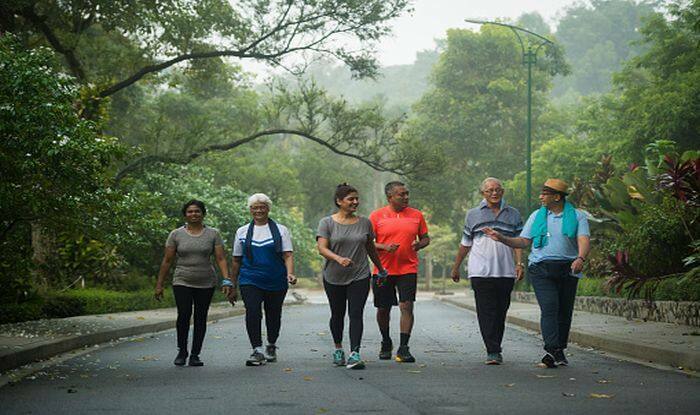 Walking for a healthy heart: Those who are over 65 and suffer from heart problems, must do brisk walking regularly. A Harvard School of Public Health study found that walking can help lower their heart attack risk. Just make sure to consult a doctor before you start brisk walking as this exercise can leave you breathless. Walking for better digestion: Walking enables your body to digest food better and regulate bowel movements which will help it to get rid of toxins.